A lot of gamers use special screen capturing tools to record videos with their gaming experience. These tool are mostly paid and offer variety of editing features. 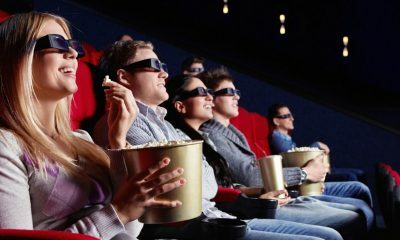 You”ll barely need them if you want to just record your video chat with a friend or create a simple how-to guide to upload on YouTube or blog. That’s where you need a tiny screen recorder that doesn’t require any special tech knowledge. 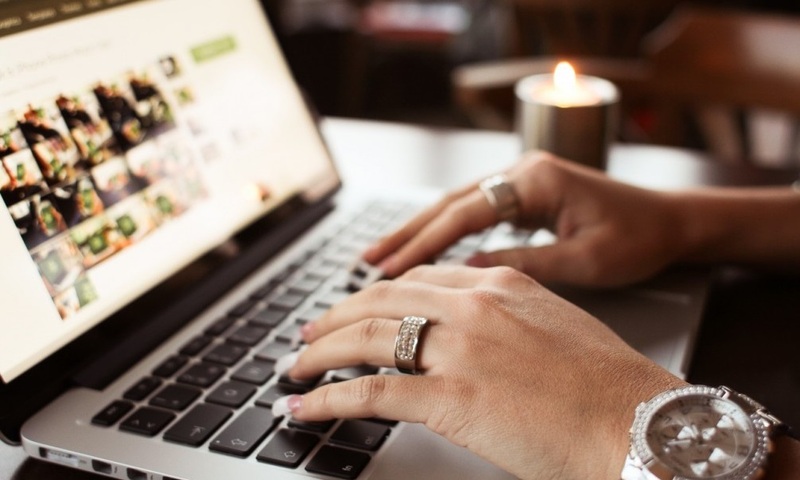 You have two options: either download and install screen capturing software on your PC or look for an online tool which will do the recording job without spamming your HDD. The 2nd solutions seems better, doesn’t it? 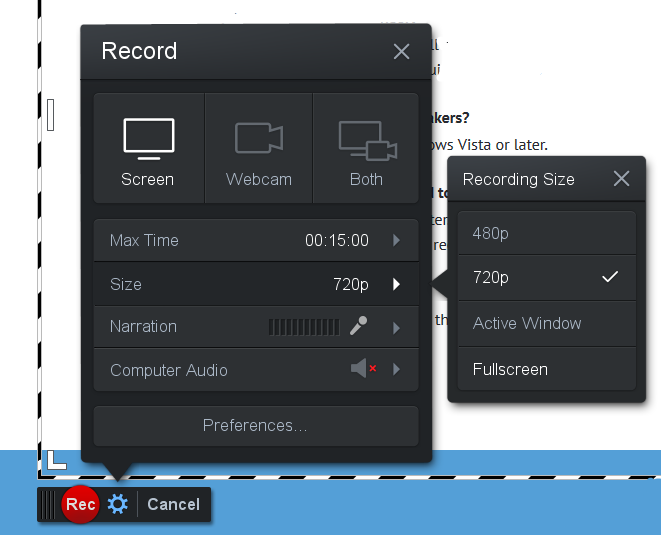 Let’s have a look an Screencast-o-Matic – a free and easy online video recorder. It’s a web app, so no crappy video recording software downloads. Allows to record video of Full HD quality. No bugs or problems detected. Love to use @screencasto to create quick, free screencasts to show issues to clients & developers. And what’s great – it has a free plan that is enough for an average user. However, if you want to know what is the difference between Free and Pro accounts, check the following paragraph. You don’t get any watermark on your videos. You can record without any time limits if you save it to HDD. You can record video with sound (on Windows only). You are given simple editing tools to make changes in a captured video. You have more options to save the result (Dropbox, Google Drive, Vimeo, etc). 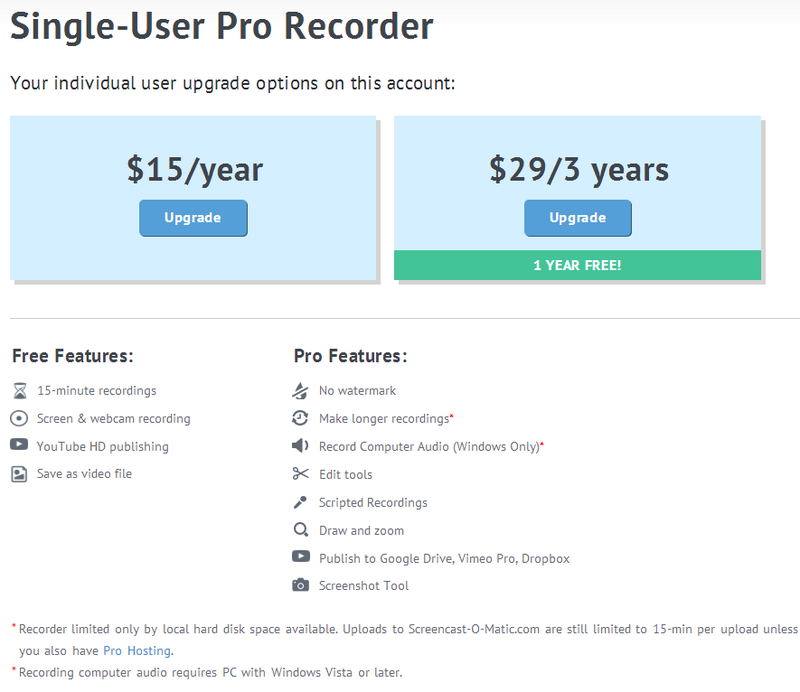 These are the most interesting features that gives a PRO account only for $15 per year. The price is not that high as you can see, and what you get for it is really worth paying. Go to Screencast-o-Matic home page. 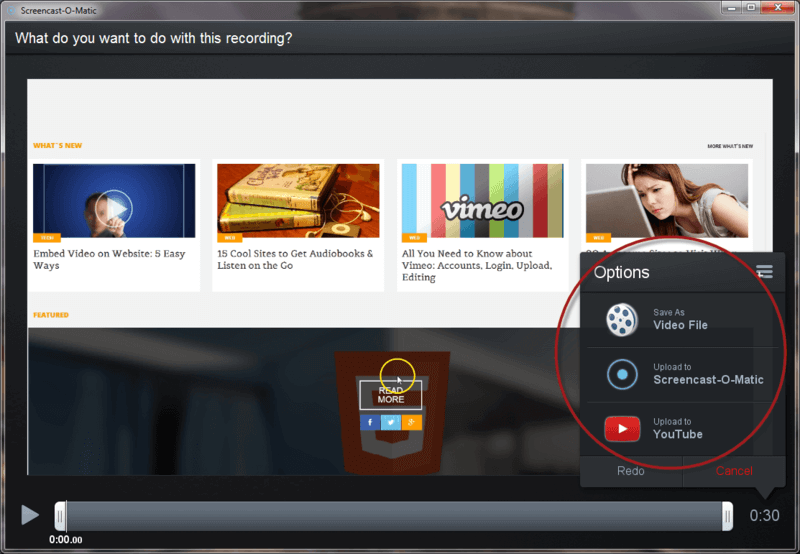 Create a free acoount if you want to save videos to Screencast-o-Matic’s site. Click the blue Start Recording button. Install a browser plugin to be able to use the video recorder. Return to home page and click Start Recording again. Wait till the black menu appears. Choose whether you want to record a screen, a webcam or both and all the other settings. Click the red button to start capturing. Click the Pause blue button again. Click Done to proceed to saving options. 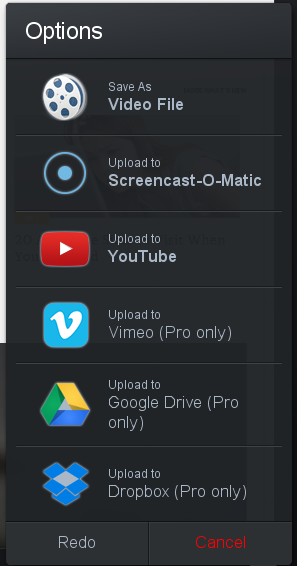 Choose whether you want to save the video to PC, to your Screencast-o-Matic account or to upload it to YouTube. Don’t forget that you may use Freemake Video Converter to join video parts of your recording or convert it to a certain format or device. As Screencast-o-Matic records your video in MP4, AVI, FLV you may want it to change to a Windows compatible format for tuning. 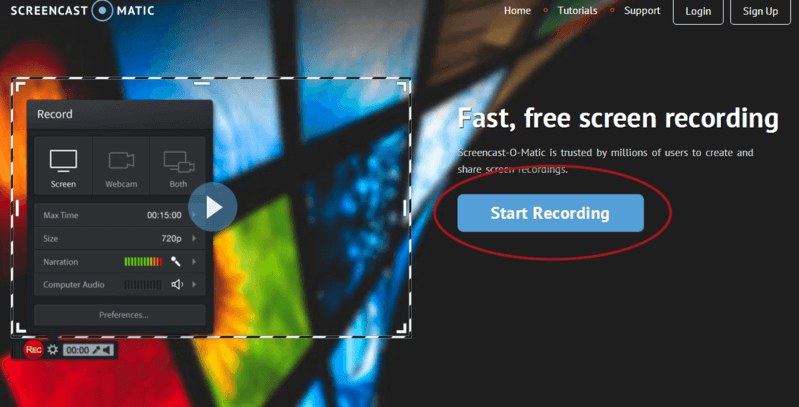 Do you like Screencast-o-Matic? Share your feedback in the comments!